 County Counsel is currently recruiting to fill a legal counsel position that is housed in the Human Services Agency. This position is primarily responsible for providing legal services to the department in matters of adoption, child custody and placement and related civil issues where the chief goal is the protection of children who become clients of Child Protective Services staff. This civil service position is exempt from FLSA and is unrepresented. All offers of employment are contingent on successfully passing a pre-employment Live Scan background. Renders legal advice to Human Services social workers and other staff regarding a variety of civil matters where the custody and protection of children becomes a legal issue; trains social service staff in the proper preparation of cases for court. Researches and analyzes existing laws and regulations, court decisions, pending legislation and a variety of other legal material related to wardship, dependency, adoption, placement and related issues. Prepares and reviews briefs, memoranda, opinions and pleadings in a variety of civil matters involving children. Represents Human Services Agency in court and before administrative bodies; examines and cross-examines witnesses; presents oral arguments. May attend public agency meetings as legal representative; explains legal requirements and restrictions to agency members. Coordinates with the District Attorney's Office on cases involving children to ensure cases are handled appropriately and that civil matters are not handled as criminal matters; may negotiate dropping of potential criminal charges against a child where the severity of the charge and the welfare of the child permit. Membership in the California State Bar. Experience: One year in practicing civil law, with emphasis on child protective issues. Legal principles and their applications; legal research methods, court procedures; rules of evidence and procedures; administrative law and the conduct of proceedings before administrative bodies; and laws applicable to child protective services cases. Analyze legal principles and precedents and apply them to legal and administrative problems; present statements of fact, law and argument clearly and logically in written and oral form; draft opinions, pleadings, rulings, regulations and legislation; and present cases in court and before administrative agencies.